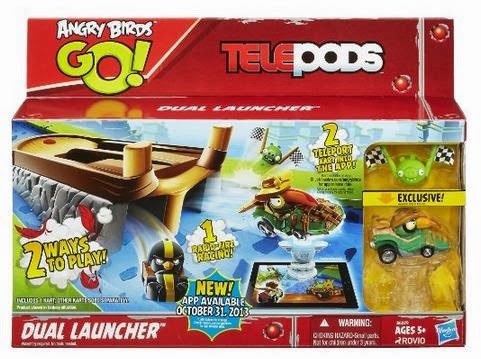 Rovio has been successful in making Angry Birds players buy telepods for Angry Birds Starwars and now it's latest offering come in the form of Angry birds go telopods, More than a million telepods for Angry birds starwars were sold generation huge amount of revenue for Rovio and now the company has come up with teleop toys for Angry Birds Go which was launched today on iOS, Android, Windows Phone 8 and Blackberry 10. 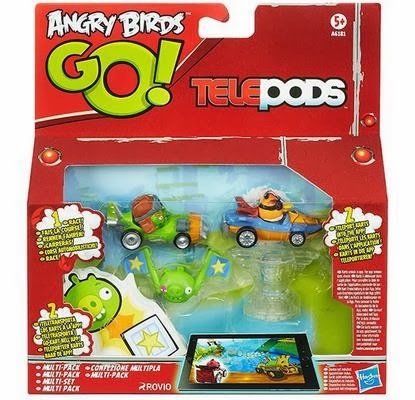 We got you some best telepods to buy for the new Angry birds go game to start playing with your friends and family. The multipack consists of two racing carts, two targets and a telepods base, there is also a deluxe pack which contains extra telepods but costs double than this. 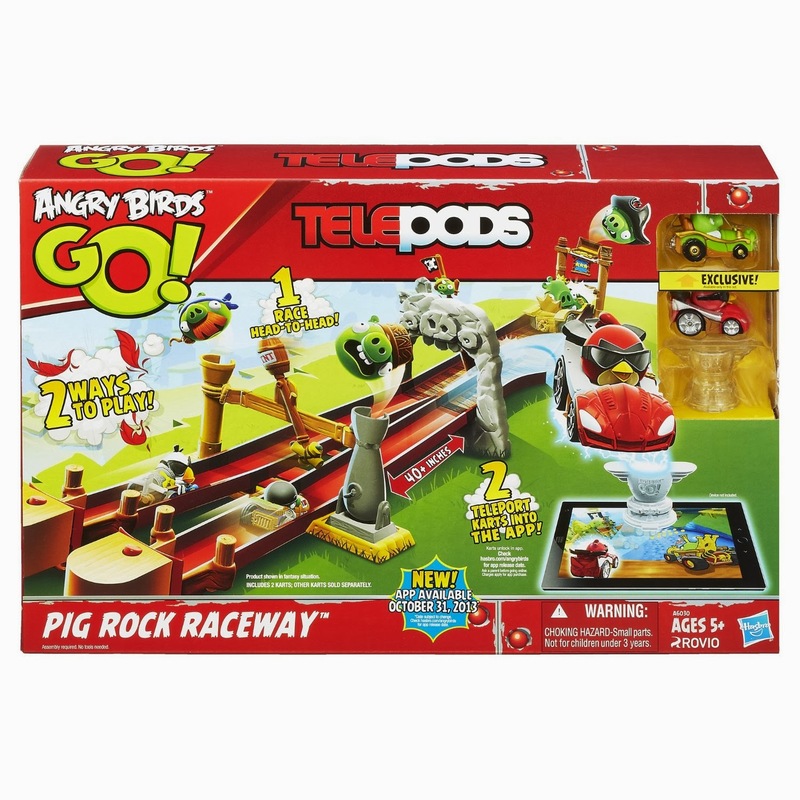 The Pig rock race way set features a long track measuring 35 inches and equipped with obstacles to make the game much more challenging. This set lets you launch two karts at a time and also features a telepods base and two different ways to play.